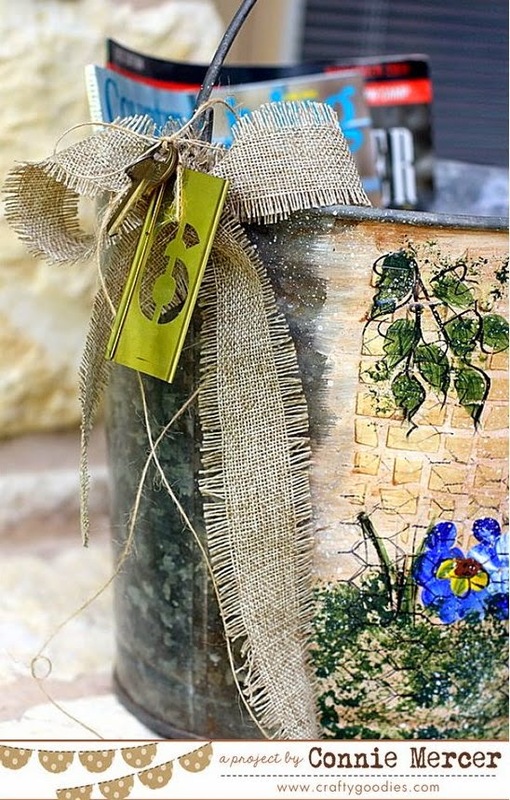 crafty goodies: Try It Tuesday~Remember this old bucket? I have a cool re-purposed bucket for you. I'm not sure if I have posted this picture, but it was one of the things I got at my moms a few weeks ago. I wanted to use it for magazines so this is what I did. I painted a coat of Gesso (Claudine Hellmuth) on the front and let it dry. 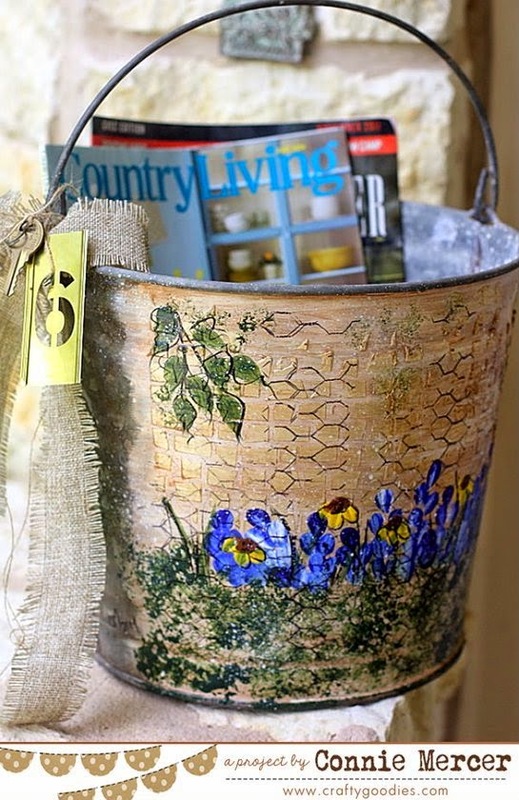 I then used a stencil by Clear Scraps ( brick wall) with modeling paste~love the look and texture it added to the bucket. 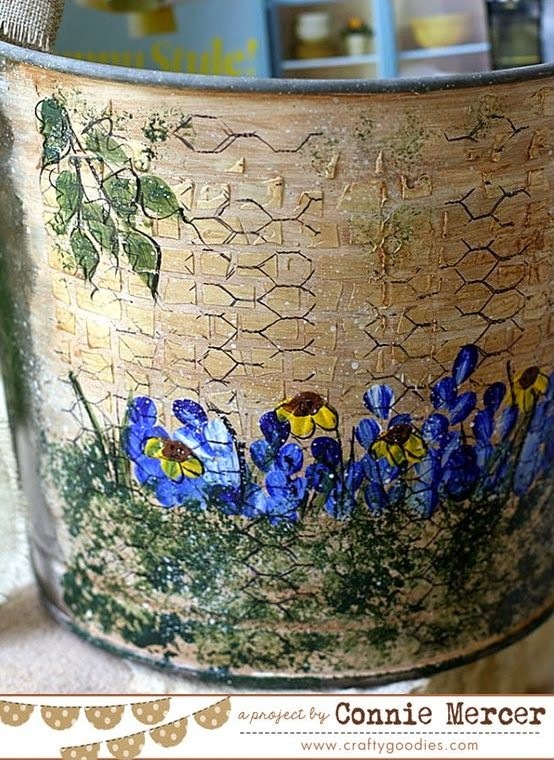 Then I painted the front with flowers using some acrylic paints. I tied some cool stuff on, um~ like the 6 brass stencil and old key ( more past junkin' finds). After I was done I sealed the bucket with the Matte multi-medium by Claudine Hellmuth. That turned out awesome!! Perfect for magazines. Wow wow wow!!!!!! WOW!!!! Pinning!!!!! AWESOME!!! I love it. It turned out really really cool. Connie, this is gorgeous! 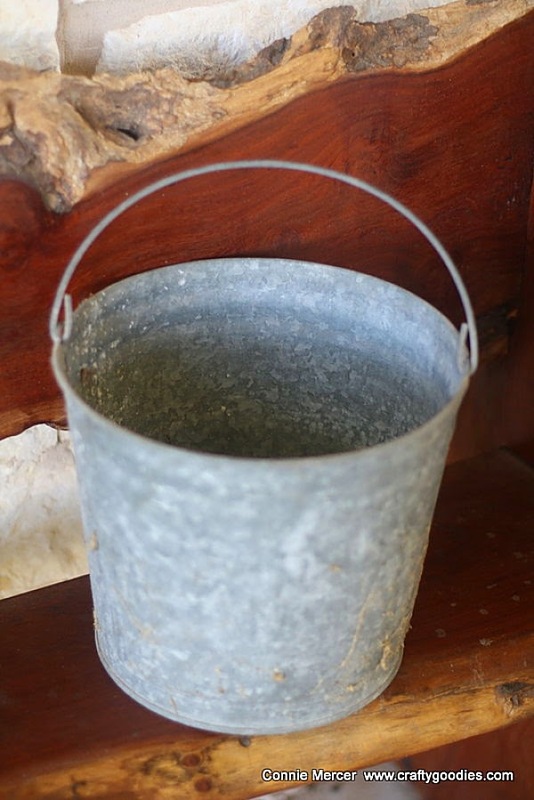 Where is an old pail when you want one??? What a cool bucket! Love it! WHAT.. that is amazing.. I totally LOVE it.. very crafty..
Fabulous idea Connie. It looks fabulous. WOW! I just love your beautiful bucket! What a great idea to paint the bucket. I have a few sitting around in my yard that could use a facelift like this. Love the brass #6 stencil and key embellishment. Thanks for sharing at VIP.